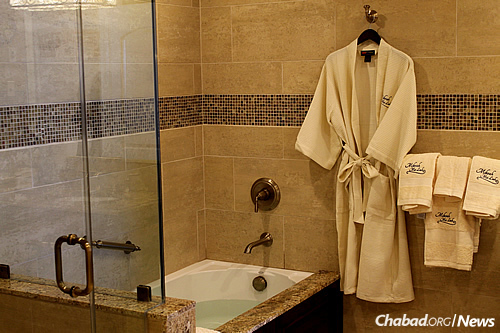 Ritual bath is another sign of increased Jewish observance in and around Merrick, N.Y.
Cindy Knoll, her husband Lawrence and their three grown children welcomed “Mikvah Mei Leah” when its doors opened at the Chabad Center for Jewish Life in Merrick, N.Y.
Knoll, who has been involved with the Jewish center since its establishment a decade ago, even helped local designer Caroline Wilkes map out various elements of the new amenity. 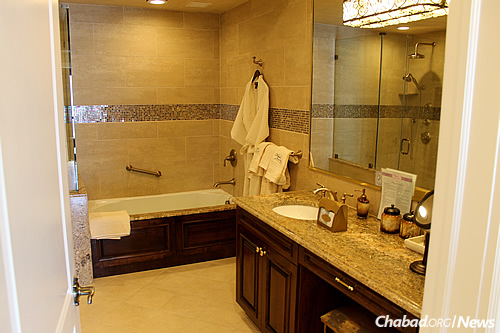 Like other mikvahs built around the world in recent years—from Moscow to Mexico—an emphasis was placed on aesthetics and contemporary features, offering “a spa-like atmosphere where women could relax for the hour they’re there,” Knoll, a resident of Merrick, tells Chabad.org. 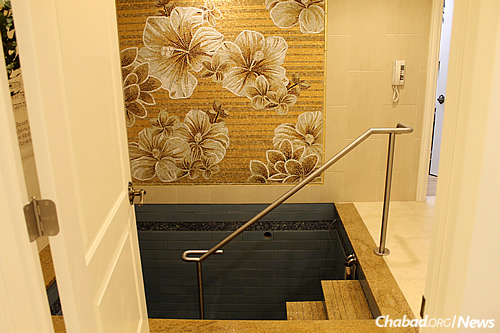 As such, every detail was attended to, including an intricate mosaic depicting flowers in the mikvah pool room, alongside heated floors. 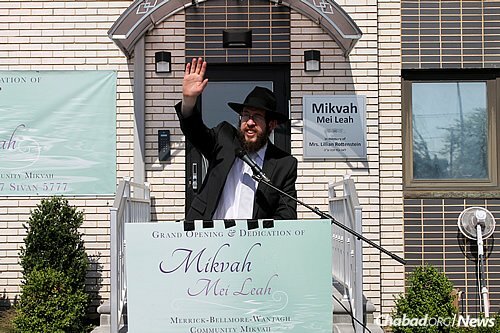 While there are other mikvahs in nearby West Hempstead, Long Beach and Plainview—about 20 minutes away—the community has long wanted one to call its own. Settled by Puritans in 1643, Merrick’s Jewish population began to grow after World War II, as suburban life and home ownership outside New York City became increasingly attractive to returning soldiers and their families. 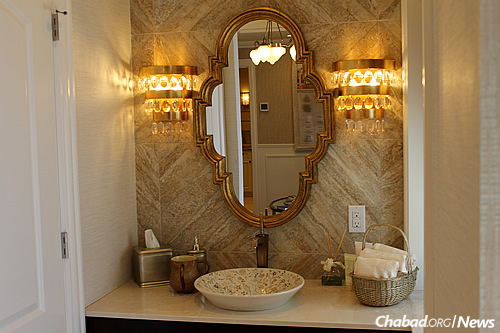 She adds that the Chabad building made sense as a home for the ritual bath because its directors, Rabbi Shimon and Chanie Kramer, led the joint effort for its completion and will oversee its operation. 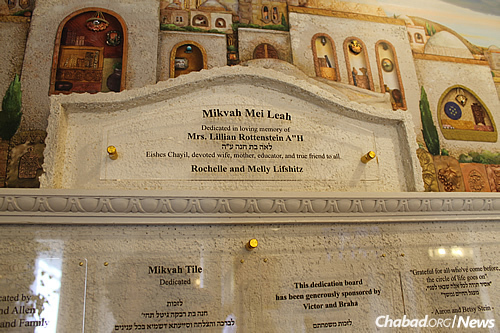 The project brought people from across the Jewish community together to raise money, she adds, with Mikvah USA, an organization that helps build and rebuild mikvahs around the country, also helping bring the project to fruition. 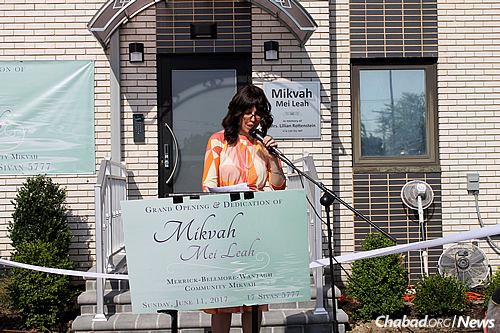 Named by Mikvah USA donors Melly and Rochelle Lifshitz—in honor of Rochelle’s mother, Lillian (Leah) Rottenstein—the mikvah drew nearly 300 people to the June 11 grand opening, including local legislators. 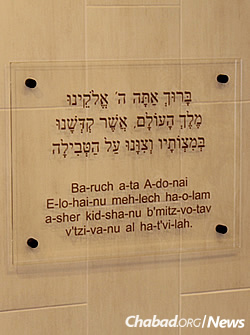 Shlomo Siegel, an attorney who has lived in Merrick for 18 years, helped from the onset of the process through his generous support and legal work associated with the mikvah, also dedicating the mikvah lobby in memory of his mother, Sally Siegel. He estimates that Merrick has been trying to build one for 50 years. “Every time they tried to do it, something fell through,” he says. 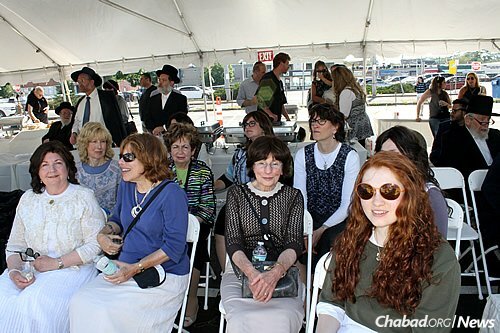 The growth of Jewish observance in Merrick is being seen throughout the area. 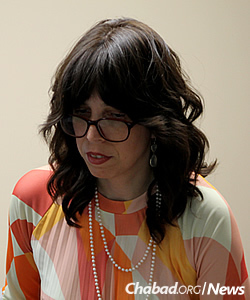 It was recently announced that the 50th emissary couple on Long Island, Rabbi Shalom and Rochel Leah Lipszyc, will be serving the Jewish community in northeast Nassau County. 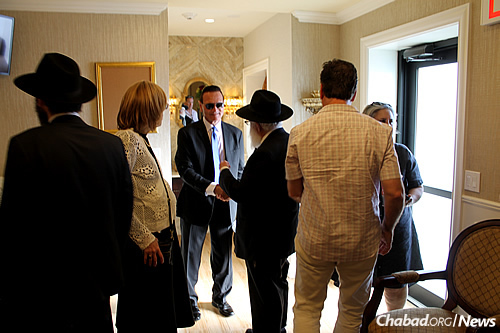 The Kramers founded the Chabad center in 2007; a few years later, in December 2011, they purchased a building. 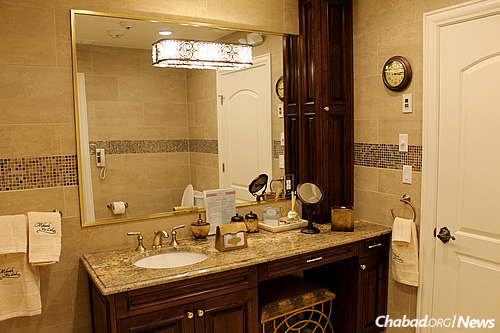 Right away, they started working on zoning permits and plans for a mikvah. Among many other programs and services, they offer a preschool (it’s currently at capacity; expansion is their next project), a food drive (the opening of a food bank is in the works) and a “Circle of Hope” support group for women coping with breast cancer and other illnesses. 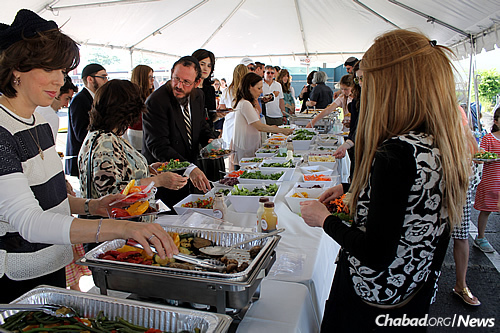 “Although Chabad spearheaded the project, it was certainly with the input and support of many others,” the rabbi emphasizes. 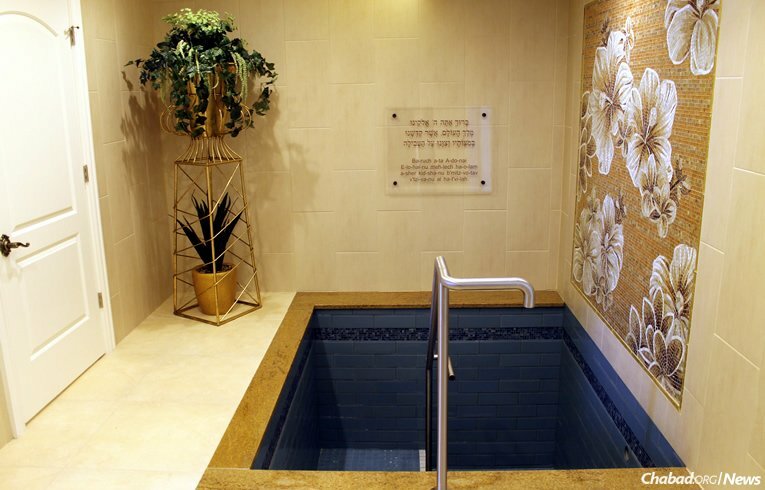 He spoke at three local synagogues to drum up initial support for the mikvah, he says, and thanked rabbis from the area who attended the opening. The Kramers led tours that day; calls for appointments started coming in that night. 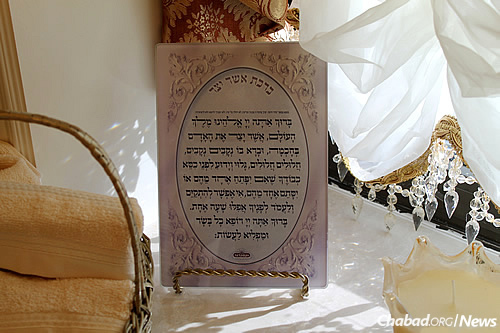 Chanie Kramer has since been busy showing the mikvah to visiting groups and holding classes on family purity. 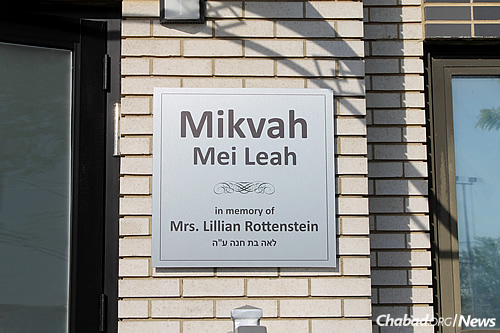 She gives a class every Wednesday on the subject, and says the mikvah is getting busier by the week.